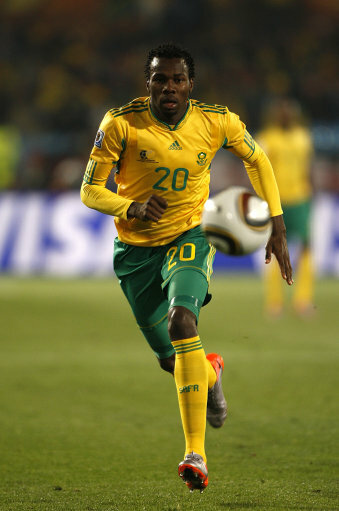 Tottenham have agreed a £1.5 million deal to sign South African international defender Bongani Khumalo that will see the 23-year-old moving from SuperSport United to White Hart Lane in January – after he impressed manager Harry Redknapp during a trial period last month. Khumalo’s transfer fee, which equates to roughly 17 million Rand, is a record in his homeland. The arrival of the powerful centre-back, who featured in all of Bafana Bafana‘s games at the World Cup finals this summer (and even managed to get on the scoresheet in their famous 2-1 win over the great France side of 2010), must surely signal the end of the line for the injury-hounded Jonathan Woodgate – who doesn’t look like regaining any semblance of fitness at any point in the near or distant future.